With the beginning of the school year fast approaching, it is more important than ever for educators to have reliable transportation to get to the learning facility quickly and safely. Sometimes it can be challenging for teachers to qualify for financing for a vehicle due to the unique financial responsibilities like school loans that can sometimes be daunting to pay. This, unfortunately, can lead to a sub-prime credit score, which is off-putting for many lenders. However, there are reputable dealerships who are happy to provide affordable teacher auto loans in St. Louis with evidence of employment. A little advance research can aid you in your car and loan search. You may even be able to find auto loans after repossession, if you are in that situation. Having your own copy of your credit report prior to shopping at a dealer can give you additional negotiating tools. Knowing the current interest rate for your credit score can be helpful as well, but be aware that this rate will fluctuate day-to-day. Your budget should include not only your car payment but fuel and maintenance costs, as well as insurance. You may wish to pay your down payment by credit card rather than in cash for protection just in case there is an issue that arises later. Although this is unlikely, being prepared is always wise. 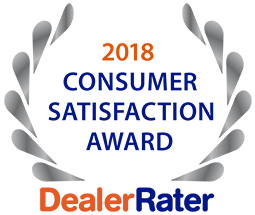 5 Star Auto Plaza is pleased to offer a wide selection of pre-owned vehicles of all makes and models and teacher auto loans in St. Louis to buyers who qualify. Speak with a member of our sales team at (636)940-7600 for more information.